Natural Progesterone, Progensa 20 has been critically acclaimed as the finest all natural bioidentical progesterone available anywhere. We have gratefully received numerous accolades from satisfied women and members of the medical profession from the united states and abroad. Natural progesterone reduces the symptoms and discomfort of premenstrual syndrome as shown in clinical trials. Natural progesterone cream is made up of small, fat-soluble molecules that like many trans-dermal products are well absorbed through the skin. In fact trans-dermal delivery out performs oral pills by 80-90% in effectiveness. Initially, in progesterone deficient individuals much of the progesterone cream is absorbed by the body, in time, levels reach saturation and continued progesterone cream doses result in increased blood levels of progesterone and a stronger physiological effect, resulting in less and less troublesome symptoms. Most women notice results right away, while for others it may take up to three months of progesterone cream usage. Since every woman's body is different, the time that you reach your maximum level of comfort may vary. For many women, natural progesterone cream provides significant relief, with no reported adverse findings from usage by women for over 20 years. It is known that trans-dermal application allows for easier absorption because with any oral medication or supplement the health and state of the colon can compromise its effectiveness. Natural bioidentical progesterone cream provides a safe, pleasant and efficient way to help your body help itself, the way nature designed the body to work. Many women going through premenstrual syndrome use it as a gentle and natural alternative to the synthetic hormones found in conventional hormone replacement therapy (HRT) drugs. Because this is bioidentical and not adverse to your body it can be bought without a physicians prescription. But don't let that fool you on its effectiveness, it is the most effective hormone balancing supplement you can take. For many women, such imbalances are often associated with premenstrual syndrome and bring on symptoms such as irritability, breast tenderness, bloating, water retention, weight gain and pelvic pain. 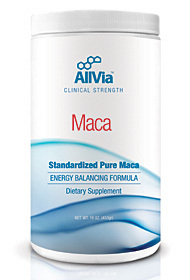 Apply once or twice a day as needed, starting on the 12th day after the first day of menstrual flow thru the 27th day. Massage the progesterone into your skin until it is noticeably absorbed. Natural progesterone cream should not be applied over top of other body creams or perfumes as they may interfere with proper absorption. Progesterone cream is not recommended when pregnant or breastfeeding unless your health care provider specifically recommends it. 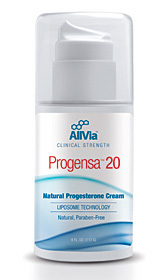 Progensa 20 is an all natural progesterone made from all natural plant derived ingredients. It is non-oily, does not leave a residue on the skin, and has extremely effective absorption qualities. Under normal usage, the 3 oz. container will last more than two months. Progensa 20 progesterone contains all natural ingredients, including, grape seed extract (a natural preservative), aloe vera, vitamin E and primrose oil that enhance the performance of progesterone when it is applied to the skin. The progesterone is sealed in an airtight clinical hygienic container with a single pump dispensing dosage to protect the cream from losing its potency or from becoming contaminated from the microbes in the atmosphere. This unique airtight pump container protects the ingredients from oxidation and ensures potency of each dispensing dose of natural bioidentical progesterone being the same so you get consistent stable results. (Certified to United States Pharmacopeia/USP) to contain 400 mg of USP-all natural bioidentical progesterone per ounce and 20 mg per dispensing dose/or 1 pump, this is the accepted standard dose. This 4 oz. containers holds 90 doses of all natural progesterone which will last you more than three months if applied once a day and 45 days if applied twice a day. In the beginning women usually apply the progesterone once a day until they acquire the needed results. When starting it would be advisable to have two bottles so you can dose once in the morning and once in the evening. When doing this you will see quicker results. The accepted standard normal dose of bioidentical progesterone is 20- 40 mg per day. Adaptogens and adrenal extracts improve chronic fatigue syndrome, fibromyalgia.